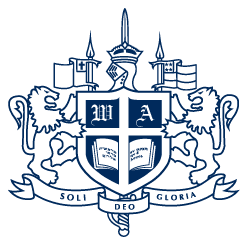 About 1.6 million juniors in more than 22,000 high schools entered the 2019 National Merit Scholarship Program by taking the 2017 PSAT/National Merit Scholarship Qualifying Test. The nationwide pool of semi‐finalists, approximately 16,000 students, represent less than one percent of U.S. high school seniors. They include the highest‐scoring entrants in each state. 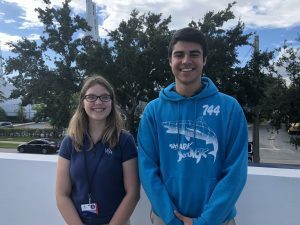 The National Merit Scholarship Program recently recognized WA seniors, Sebastian Molina and Ava Gaus, as semi‐finalists. Congratulations to both these students for this accomplishment as they enter the process to qualify as a finalist. Semi‐finalists must have an outstanding academic record throughout high school, and a high school official must endorse them. In addition, these students must write an essay and earn SAT scores that confirm the student’s earlier testing performance. Please keep these students in prayer, along with the entire Class of 2019, as they pursue excellence in their college advancement.